Inauguration Ceremony of BSc. and MSc. Automotive Engineering program was held at Department of Mechanical Engineering. 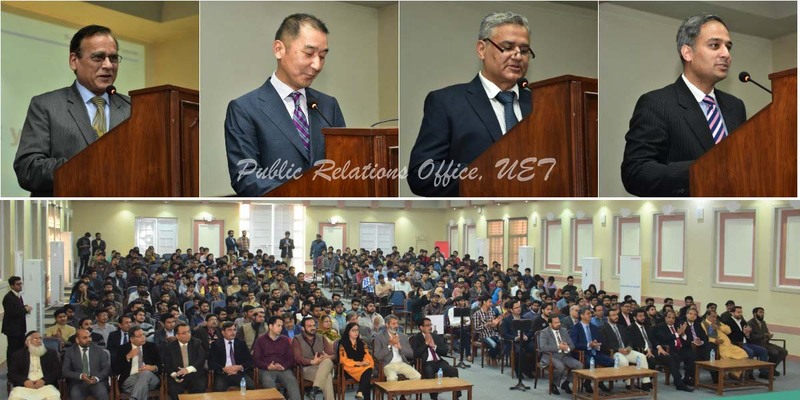 Vice Chancellor UET Lahore Prof. Dr. Aziz Akbar, Dean Faculty of Dean Chemical, Mineral, Metallurgical & Material Prof. Dr. Nadeem Feroz, Director Student Affairs Prof. Dr. Asif Ali Qaiser and Chairman Department of Mechanical Engineering Prof. Dr. Nasir Hayat were also present. 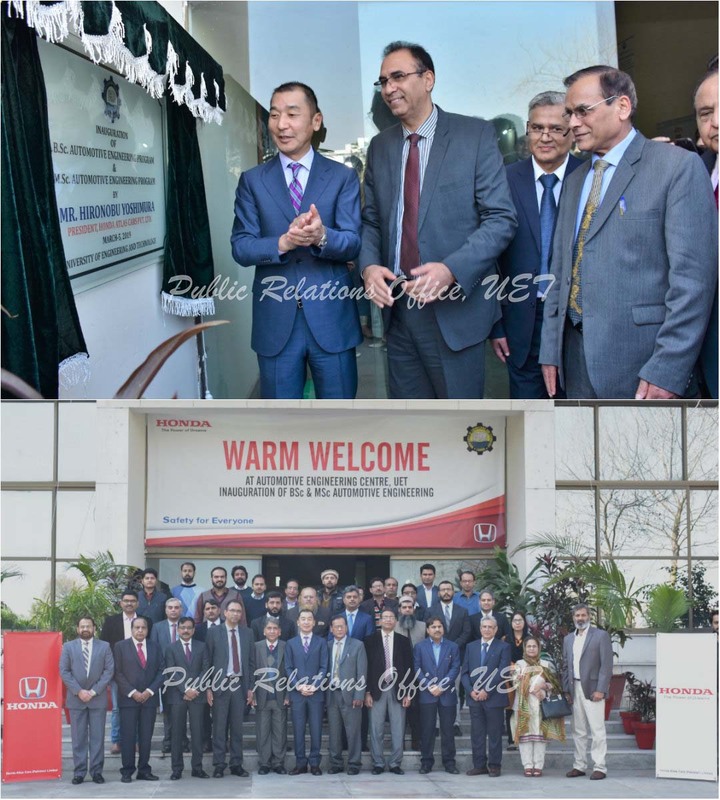 President/CEO Honda Atlas Cars (Pakistan) Limited Mr. Hironobu Yoshimura participated as chief guest and inaugurated the BSc. and MSc. Automotive Engineering program. While talking to the participants Mr. Hironobu Yoshimura said, “These two programs are flag bearers for mobility and are focused academic programs of the country. They would lead the advancement of mobility and enable people everywhere in the world to improve their daily lives in future”. 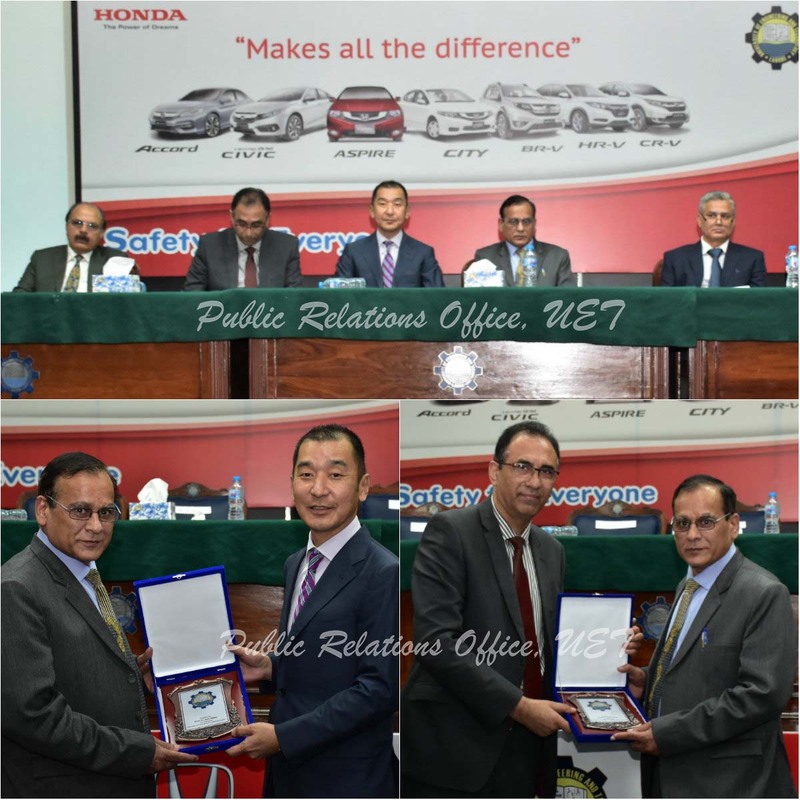 At this occasion Chairman Department of Mechanical Engineering Prof. Dr. Nasir Hayat said that these programs will provide the fundamental knowledge base for automotive engineering and to educate students in becoming technological leaders in the automotive industry. In addition, the two programs will have lab facilities to enhance student learning such as Internal Combustion Engine Testing Lab, Internal Combustion Engine Lab, Automotive Electrical System Lab and Fuel Injection System Lab. At the end of inauguration ceremony Vice Chancellor Prof. Dr. Aziz Akbar presented souvenirs to guests and congratulated the administration for their efforts.